Most of the tax law changes from 2011 stem from annual inflation adjustments that affect income-tax brackets and many other provisions. These changes apply only to 2012. Thus, they won't affect what you owe for 2011 when you file your return this year. Federal income tax-bracket thresholds for 2012 have risen for each filing status. 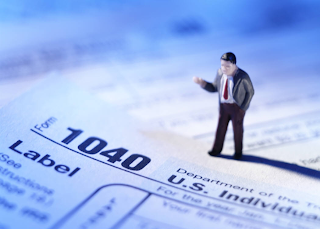 For a married couple filing a joint return, the taxable-income threshold separating the 15% bracket from the 25% bracket is $70,700 for this year, up from $69,000 for 2011, according to the Internal Revenue Service. The standard deduction is up slightly. For singles, the basic deduction amount for this year is $5,950, up from $5,800 last year. For married couples, it's $11,900, up from $11,600 in 2011. There are additional amounts for those who are 65 or over, blind or both. The amount of each personal and dependent exemption is $3,800 for 2012, up by $100 from $3,700 for 2011. The maximum amount of the earned income tax credit for low- and moderate-income workers and working families rose to $5,891 for 2012, from $5,751 in 2011. The maximum income limit for the EITC rose to $50,270 from $49,078 in 2011. The foreign earned income exclusion amount rose to $95,100 from $92,900 for 2011. The IRS' optional standard mileage rate for using your car for business will remain unchanged at 55.5 cents this year, the same as in the second half of 2011. This also applies to vans, pickups or panel trucks. Drivers have a choice of using this rate or deducting certain actual expenses. But the rate for using your car for medical or moving purposes is down to 23 cents a mile for this year, from 23.5 cents in the second half of 2011. The rate for using your car to help a charity remains unchanged at 14 cents a mile. This rate is set by Congress.